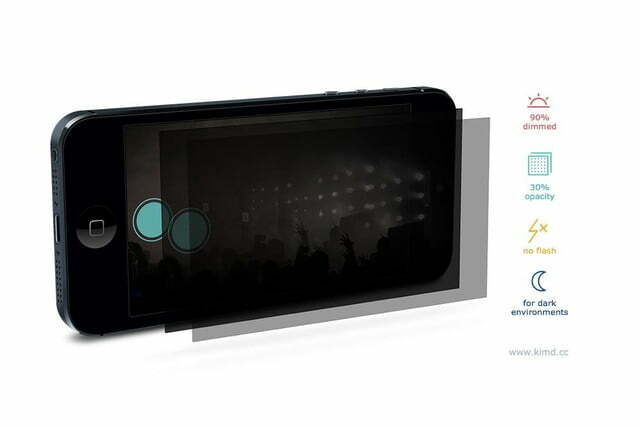 Kimd is an app designed to help concertgoers be less annoying to others while they take photos or videos. The Kimd app lowers the screen brightness to 10 percent, while overlaying a "veil" that has a 30-percent opacity. How Kimd looks when you're taking a photo or video. 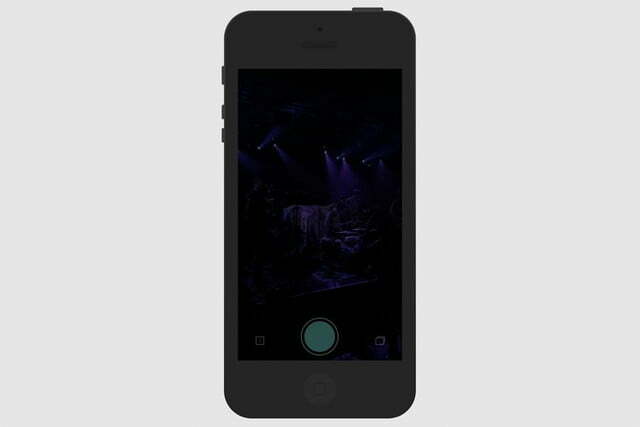 The good kids at Pop Photo recently stumbled upon an app called Kimd that’s designed for taking concert photos. The idea is simple: As a courtesy to those around you, Kimd lowers the brightness of your smartphone screen and automatically prevents the flash (usually a bright LED light) from turning on. Within the app you can take photos or record a video. Whether artists or audiences like it or not, photography and videography have become part of the concert-going experience, thanks to the smartphone and – gasp – tablet. 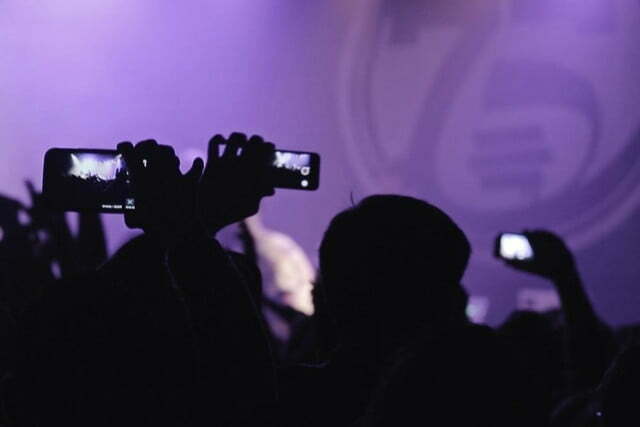 If you are one of the many who enjoy raising your arms above the audience and recording the moment on your phone, Kimd helps you be courteous to other concertgoers, as the bright light from screens and flashes are usually what are annoying in a dark environment. It dims the screen by 10 percent and overlays a “black veil” with a 30-percent opacity on top. As Pop Photo points out, yes, you can manually make these adjustments yourself, but why bother when you have one-touch access through an app that does it for you? Not to mention, it’s free. While Kimd is described as a “concert camera,” it’s brilliant for other low-light situations where bright screens are unwanted, especially if there are loads of people around. It could be your kid’s school recital, a dimly lit restaurant, or a packed airplane. You could even use it to stealthily photograph someone or something, ensuring the flash never goes off (not that we condone this type of behavior, mind you). Kimd is available for iOS only, but an Android version is in the works.